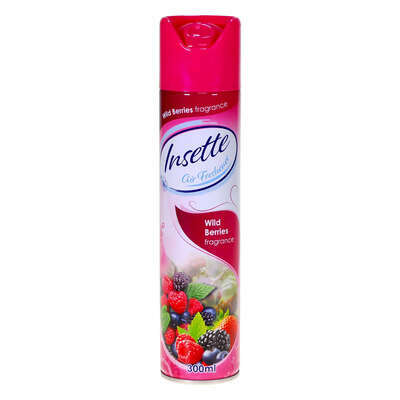 Infuse every room in your workplace with the pleasant fragrance of fresh laundry with our Wild Berries Air Freshener. Provided here today in a large multi pack of 12, these handy spray tubes come in a cylindrical design with easy to press button. A water-based based formula that spreads easily throughout the air to fill the entire room without leaving behind any residue or sticky substance on surfaces. From care homes and schools through to offices and other businesses, this handy freshener comes in individual 350ml amounts - perfect for storing in janitorial cupboards or distributing throughout individual rooms such as bathrooms and WCs. Fruity berry scent is a popular choice with customers. We also stock this pleasant air freshener is a Lavender and a Linen Fresh Air scent, available online today at an exceptional wholesale price.